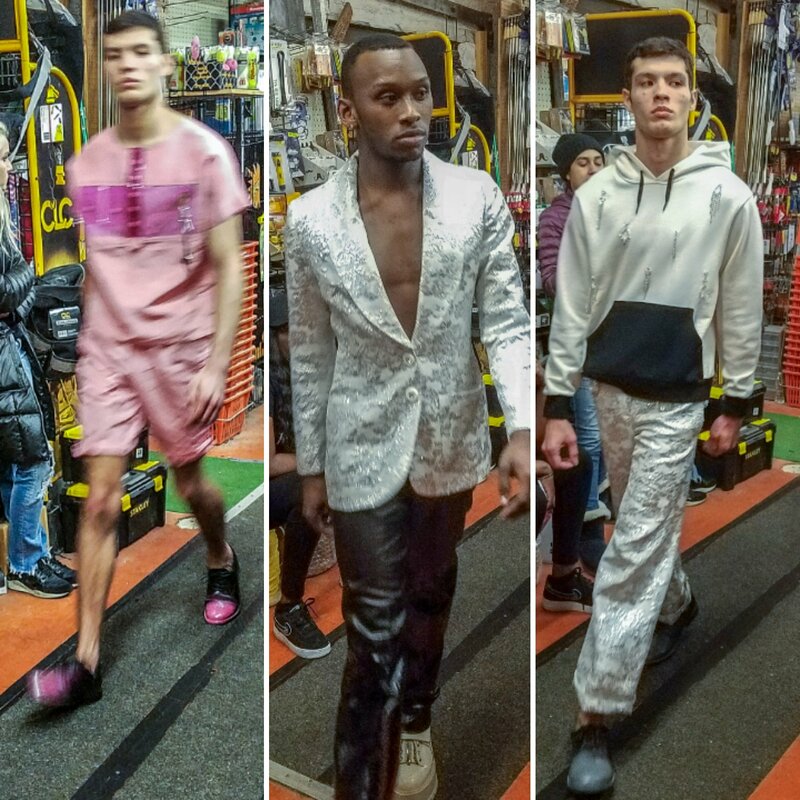 The first fashion show of NYFW kicks off inside an hardware store in West Village…so 1990s. 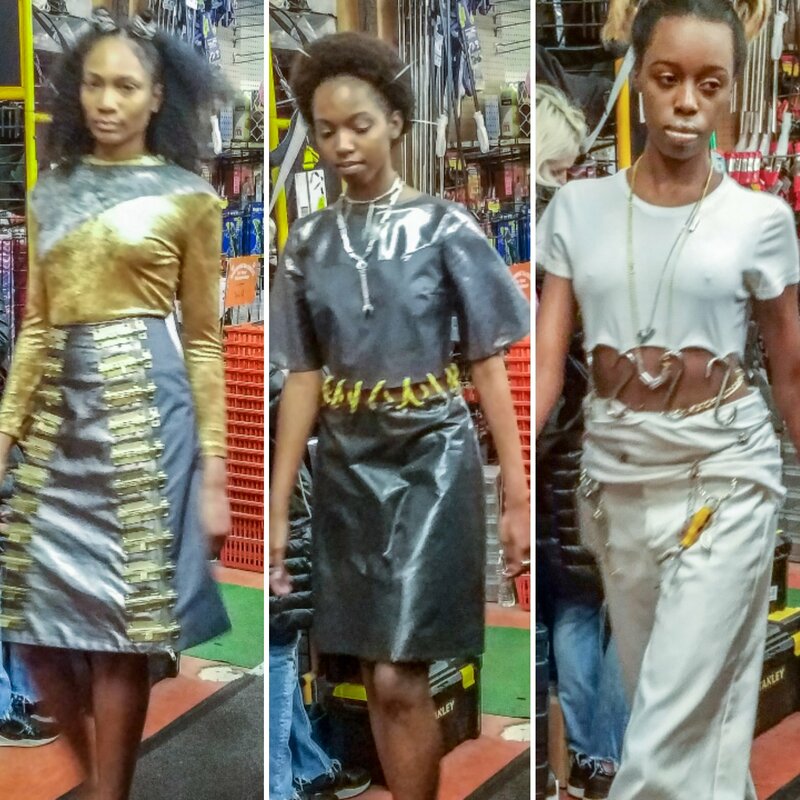 You don’t get to see much emerging female designers so we were thrilled to arrive at an East Village hardware store to see Ahmel. The designer was at once adventurous but with an destination in mine. Of course, when she played it safe using conventional tricks of the trade, she fell flat in the way the designs became predictable and somewhat costume. Here is what we loved, hated and wanted to see more. Ahmel stated she got her inspiration from hardware and chooses her locations based on it. So we loved the subtle use of hardware throughout the collection. It was strategically placed and was not used in lieu of design. 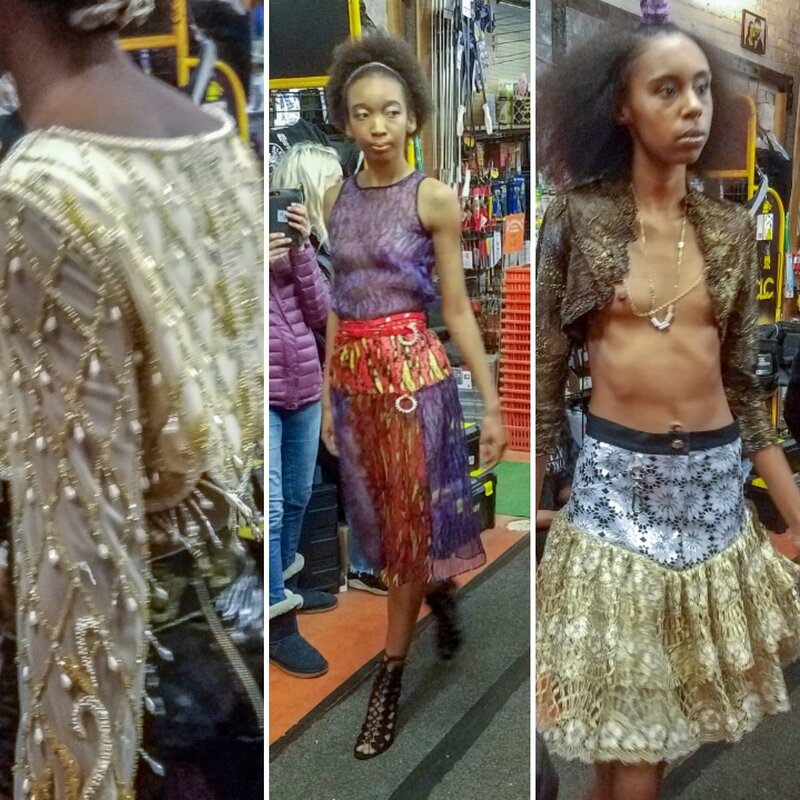 Usually when fabrics that are so diverse are added to one design, the results can be costume but here Ahmel pulls it off by combing lux fabrics (brocade) and metallics with faux fur and feathers. Bold colors and brocade are always a risk with menswear but using in classic men staples makes it fresh. If project runway was still airing this designer would of aced the dreaded “Inconventional Challenge”. In this case , the usual tricks of the trade – lace, tulle, sheers and beading – all seemed out of place that going down a dark alley in LA after spending all day at the beach. Okay, the menswear was the best part of the show and we wanted more than the metallic shirt looks beyond the looks we featured. 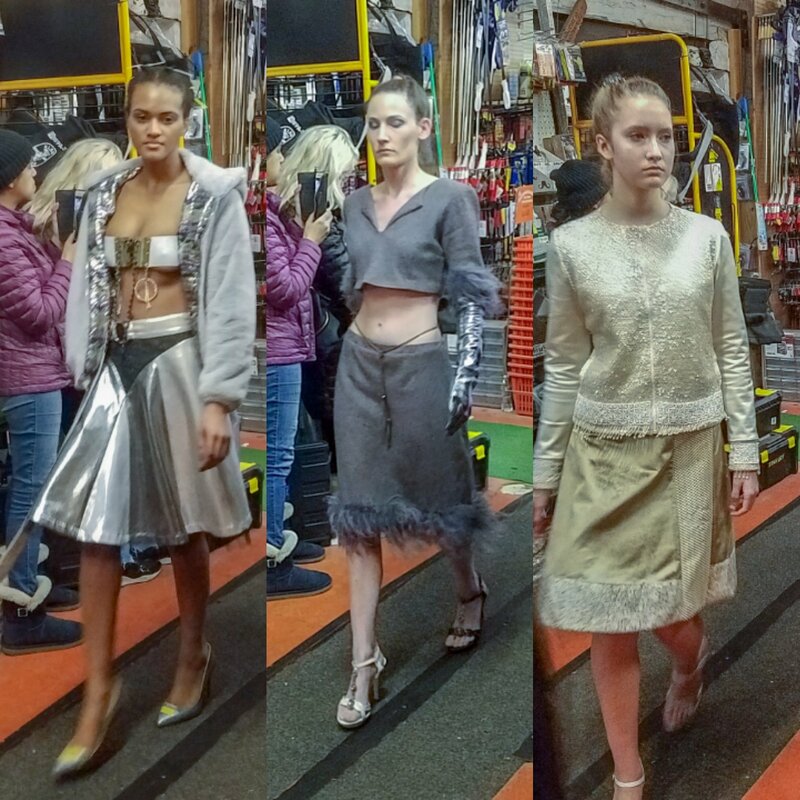 We also loved the mixed media and outerwear (is the brocade raincoat for sale yet?). Ditch all the usually materials we see on every runway and you have a bright future!